Below the rocky Croatian giant - Velebit, glows one of the brightest jewels of Adriatic coast, the city of Zadar. Magical sounds of the sea organ resound in every corner of the city whose history and culture go back to the earliest time of human existence, but also to the nearby Nin, a town that has left an everlasting mark on the crown of the first Croatian king. Graceful and serene, modern and playful, still resisting the years passing by, the city of Zadar has the features everyone would like to have. 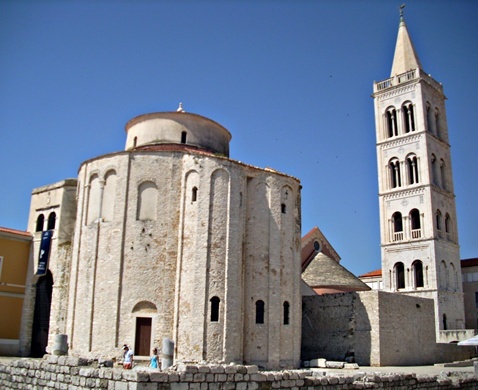 Zadar, the former Illyric centre and millennial shield of Northern Dalmatia is today the administrative and cultural centre of the region, which excites by linking of incompatibles. From the plains of Zadar hinterland, and through the mountains, canyons and cliffs, on its way through karst, holes and caves, rapid rivers hasten to clear blue sea and further to beautiful islands and islets. Rich seabed and stingy hinterland, which are often broken by the wind bora, are the base of centuries old tradition of cattle breeding and fishing.